Higher Education - Shenzhen Radiant Technology Co., Ltd.
It’s impossible to escape the digital world today. From laptops to smartphones, the average American has multiple digital interactions daily. And for millennials, the generation that came of age during the internet era, communicating digitally is what they know. It’s as natural to them as breathing. So, perhaps it’s no surprise that college and university campuses are increasingly looking to incorporate digital displays into the college experience. University leaders recognize they need to speak the language of college-age students to attract them, and today’s students are fluent in digital. Today many colleges are equipped with projectors. 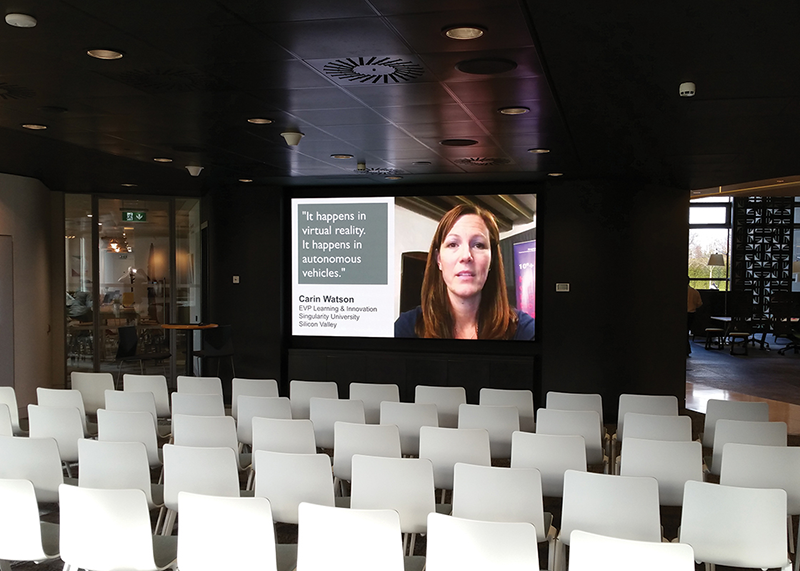 Digital signage provides many opportunities to use multimedia to enhance lectures. Professors can display slides outlining important points or play videos related to the content. Those worried that students might not listen to the lecture if they have a screen in front of them have nothing to fear. Studies show that regularly displaying PowerPoint slides during lectures has no negative impact on students’ final grade outcomes. A quick hint: No more than three bullet points and 20 words per slide is the best way to make sure the information is read and retained. Over 40 percent of schools don’t have instructions for what to do in an emergency posted in their labs and residence. Even more schools fail to post those instructions in other buildings. However, a student or faculty or staff member could be anywhere when a crisis strikes. How will they get information? How will they know what to do? Centralized digital signage allows colleges and universities to get the word out whenever and wherever on campus. Screens can flash in bold colors to draw attention to the emergency alert and provide instructions on where students should go and what they should do to be safe. As long as there’s power and internet access, the signs can be updated instantly and remotely.